I love Runaways! I think it’s kind of underrated. Also, as I’ve said many times before, I LOVE Snow. 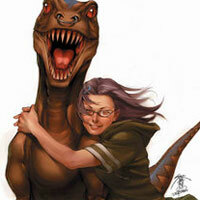 She’s easily my favorite character in Fables, and that’s saying a lot. I would love to see a Fables film, I think that the first storyline could transfer fantastically to cinema. 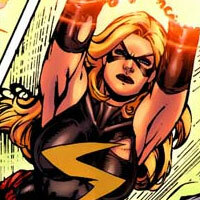 Can’t wait to read more about Ms. Marvel’s self improvement regime. 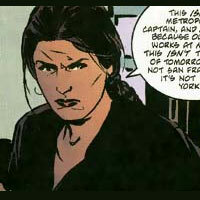 I’m a very very casual reader of comics–mainly, I read random ones lying around the house–but I read the Alias run and I freaking love Jessica Jones. I adore how they portrayed her and her issues/problems, and I like the art they used for her. I also really identified with her reactions to tragedy, as well as to her powers, and enjoyed how her friendships with women were portrayed. 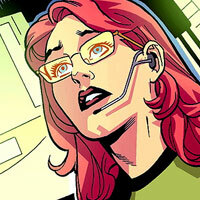 I was glad to find out from the husband that she’s made her way into another book after Alias. It really is very underrated. Every time I read it, I just get so happy. I think a Fables HBO mini might be better. They would just really have to be good about how they segmented it. 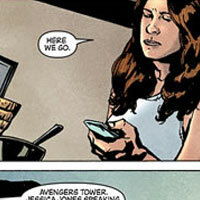 @idyll — Jessica Jones really is a very identifiable character. Sometimes, it’s hard to see superheros are less than perfect and I really think Bendis did a great job an introducing a character who was supposed to be there all along, but she’s a very modern 3-D one. This list is great, and I’m so happy to see women on it that I don’t recognize. Because that? Means I have more comics to read. 😉 I also had no idea that Jessica was in “Young Avengers” so that’s another title to read. I really love the girls on Runaways (with the exception of Molly), and this made me remember how much I miss reading those comics. Maybe I’ll pick them up again now that Joss is done with them. 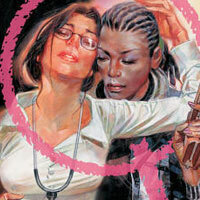 I remember there being talk of a Fables TV series a couple of years ago on NBC? I wonder what happened to that, but HBO really would be the perfect place for a Fables based series/miniseries and I would love to see that. @Helen — More comics are always good. 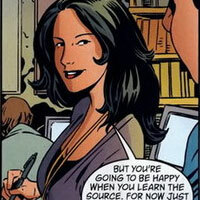 Jessica makes several appearances in Young Avengers. In many ways, she and Captain America play the “parents” of the young team. 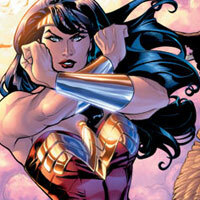 I’m still playing catch up to the part where Joss writes them. I think part of my enthusiasm dropped when Joss picked them up. They’re talking about either making movies or doing a miniseries. I haven’t really heard anything more to this effect in a while. Everyone’s all abuzz about the Marvel movies.